Phyllis Y. Osaki is the Chief Executive Officer and a principal of GS Management Company. 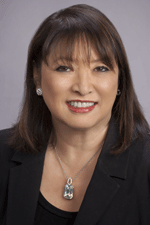 Ms. Osaki has worked in commercial real estate since 1977. Prior to joining GSMC, she was No. California Regional Vice President with Koll Management Services, and she was the No. California District Vice President with PREMISYS Real Estate Services, Inc., a national property management company which was a wholly owned subsidiary of The Prudential Insurance Company. Ms. Osaki has in-depth experience in marketing, leasing, construction management, project acquisition/renovation and commercial property management. She earned her Bachelor of Arts Degree and Standard Teaching Credential from San Jose State University.